Snowdonia, 1880, and Jane Gruffydd is a newcomer to the district, dressed to the nines and almost fainting in the heat of the interminable prayer meeting out on the mountainside...In the pages of this classic 1936 novel, we see the passionate and headstrong Jane grow up and grow old, struggling to bring up a family of six children on the pittance earned by her slate-quarrying husband, Ifan. 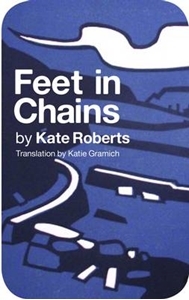 Spanning the next forty years, the novel traces the contours not only of one vividly evoked Welsh family but of a nation coming to self-consciousness; it begins in the heyday of Methodist fervour and ends in the carnage and disillusionment of the First World War. Through it all, Jane survives, the centre of her world and the inspiration for her children who will grow up determined to change the conditions of these poor people's lives, to release them forever from their chains.